Men and Women • Run Hard. Rest Well. The question before us: Do men and women rest differently? Yes we do—just like men and women do just about everything differently. 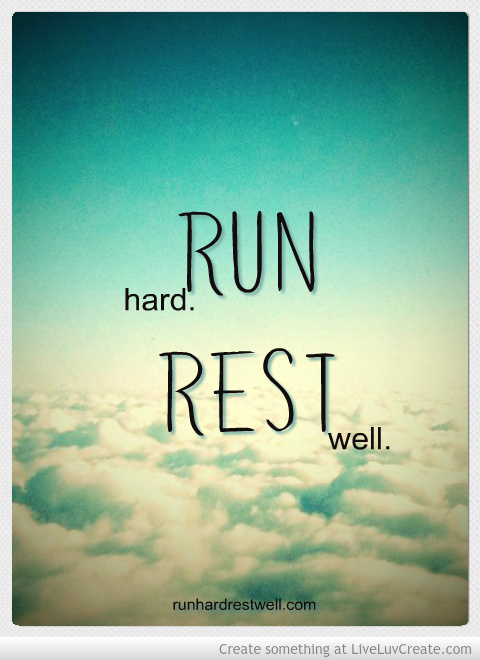 My husband, Tim, played an integral part in teaching me about rest. It was not an easy task, especially in our early years when I equated rest with laziness. God bestowed upon Tim a great deal of determination and very thick skin. For this, I will forever and always be grateful. Tim was my first (and possibly the best) role model of a balanced life on the work/rest continuum. He introduced me to the whole idea of rest as it’s meant to be – guilt-free. He is the unsung hero and a founding father of Run Hard. Rest Well. What have I learned about this topic? There is a growing body of information to explore about gender related topics and research into rest. Below you will find two insightful articles. This post will likely create more questions than answers, but it will open the door to an on-going discussion that will likely be rich and productive. I would love to hear your stories, insights and research findings. The first article, \”Why Mom\’s Time is Different than Dad\’s Time\”, is designed for parents and comes from The Wall Street Journal (1/24/14). It focuses on the non-negotiable time demands of life with children called “Pressure Points.” In it, moms and dads will find nuggets that contain insights to more stress-free family living. I think it’s a good read even for those without children, as it sheds light on some gender-based characteristics about work and rest. There are too many great insights to share here; you might want to read it twice. C-reactive protein (CRP) in the blood is an important marker for stress. Taking 30+ minutes to fall asleep is a key factor for an increase of CRP. Daniel Kahneman (in a separate study) found that there is a profound difference in the level of happiness for those who get 7+ hours of sleep versus 6. That 60 minutes could be the best investment you’ve ever made. What’s your 2 cents? Any light bulbs? How is “rest” for men and women similar? Different? It’s adventure at its best – as we learn to run the race, our race, God’s race in a power not our own. Loved the men vs women in the work load. Make me understand why I was so frustrated all the time as a young mom. I did it “all”. When my husband got home I wanted some adult time. I never got that. HE needed to wind down. I wanted 6 kids, could hardly handle the two I had. I really needed the emotional husband support that wasn’t there. Sleep? 7+. Oh, please. Dream on! And through the night? Maybe if I didn’t drink anything past 3 in the afternoon, but I’m up 2 or 3 times a night. Mostly I can go back to sleep. I know straight through sleep is important. It has just never ever happened for me…..ever. May the Lord of Peace, Himself, give you peace at all times and in every way. Peace be with all of you. Brenda, you are in my heart today. My prayers are with you and your family during your journey. I loved these articles. This explains to me why when I get sleep deprived an overly cranky and emotional monster expels upon my expectant loved ones as I irritably claw a path to slumber land. Now that I am aware of what is happening to me, I pray me emotions will not get the better of me. P.S. 2 Thessalonians 3:16 is where the first two sentences came from. Sorry I forgot cite the Word. Sleep was my “final frontier” for me. I am so stuborn — but have been so blessed by the sleep God ordained. Tonight is the tenth night in the hospital with our son, Joe. The sleep deprivation is pretty extensive at this point…but by the grace of God, I was give almost 8 hours of undisturbed sleep — the second night of his ICU stay. What a gift. Jehovah-Jireh! We can pray for each other that our emotions don’t get the best of us. We are held.